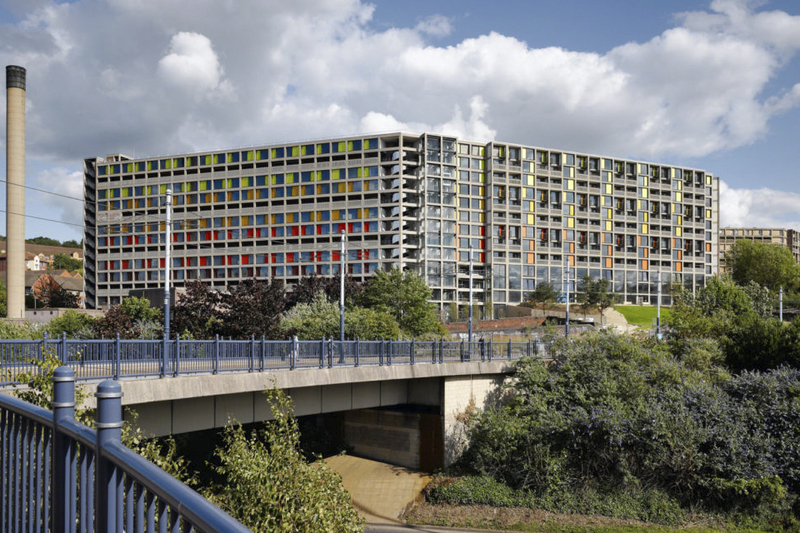 Urban Splash, working with Sheffield City Council and the Homes and Communities Agency, has undertaken a £160 million regeneration scheme to turn the estate into a vibrant place to live in the 21st century. There are 874 apartments, of which one third are affordable, together with new retail and leisure facilities. The concrete structural grid of the apartment blocks rising from three to 13 storeys has been repaired and retained. New facades of anodized aluminium panels, made from the same material as coloured iPods, replace the coloured brickwork. Accelerated UV tests have confirmed that the panels will keep their colour for at least 30 years. The famous suspended concrete roadways, ‘streets in the sky’, and link bridges have been retained. The roofs of the lower buildings have been landscaped as many residents will look down upon them from their homes. 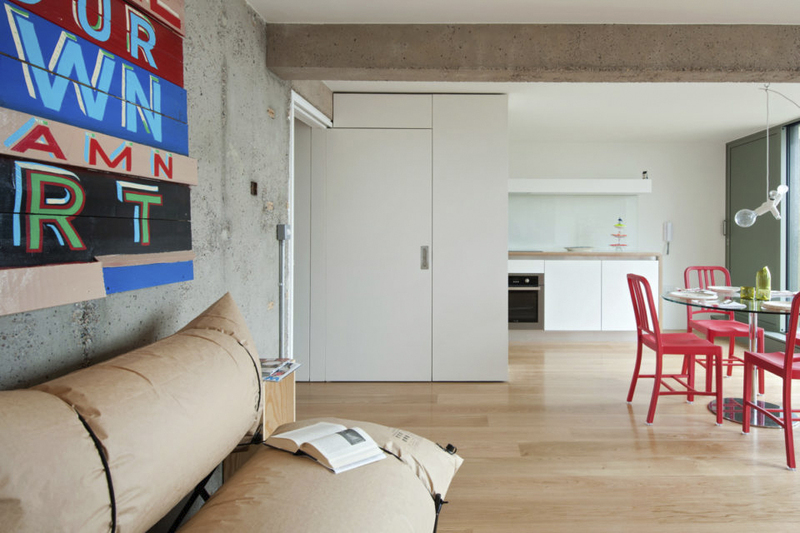 Urban Splash has also left a concrete wall and ceiling exposed within each flat in order to allow residents to appreciate the history and importance of this iconic concrete structure. 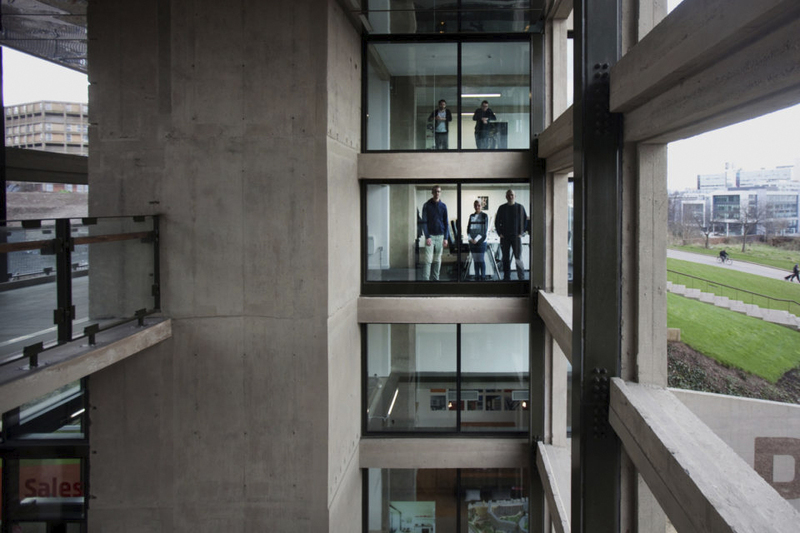 The project has not just extended the life of this building, but has given it a whole new lease of life. 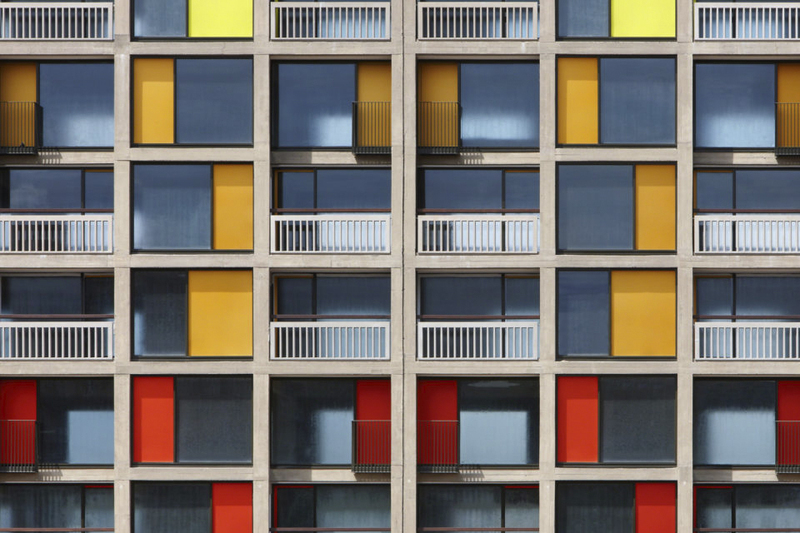 If the timeline of @loveparkhill is any indication, then Park Hill is a much loved home and landmark, worthy of its Grade II* listed status. Park Hill was nominated for the 2013 Stirling Prize award.